Attention U.S.A Mid-South Camino Pilgrims! Walking across the top of Spain and experiencing the cold wet from a dripping canopy of trees, or the dry heat and dust blown across the trail by a busy tractor can seem like a long way away from a film movie premiere in the mid-south. But, along with hiking the Camino, that journey for us as film makers is now complete. 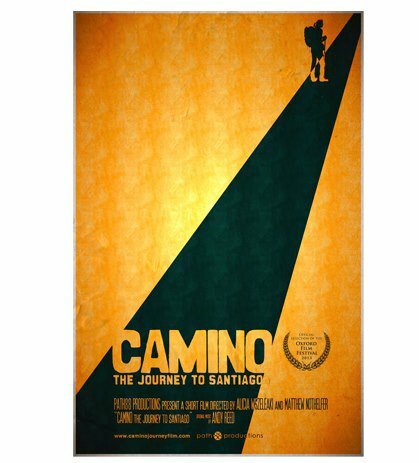 CAMINO, The Journey to Santiago will have it's world premier at the Oxford Mississippi Film Festival on February 22 & 23rd, 2013! This announcement is an offer to Pilgrims in Mississippi or South Western Tennessee to attend the premier as our guests. Did you have sore knees after the hiking over the mountains? Did strangers make you laugh? Were you amazed and incredulous when you woke up on your 20th day of walking and couldn't wait to begin the day? These are the stories that should be shared. They are what makes the Camino so wonderful. The invitation is for anyone that has, like us, experienced the pilgrimage and is willing and able to share that experience with attendees of the festival. There may also be an opportunity to be on the panel to answer questions to the audience. If you are interested, please contact us via email path88@path88.com. Guest passes are limited, so drop us a line quickly if you'd like to be a part of this special event. Our short documentary is a film about a pilgrim's hike across Spain on the Camino Frances. The simple impressionistic film creates a casual narrative about the ancient journey and what it's like during the modern revival. Good trailer! I look forward to the film's release after the film festival. Hope it makes it to netflix or vimeo, or someplace like that. After the film festival, we'll be hosting it on Amazon! Hope you will enjoy it.